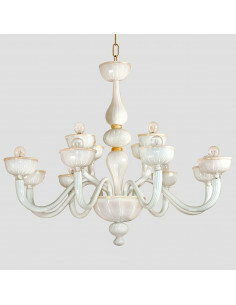 Hand-made chandelier according to the techniques of the ancient art of Murano masters. Available in different colors. 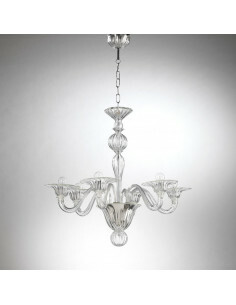 Contemporary chandelier with simple and essential lines, handmade Murano glass as of ancient Murano tradition. Possibility of customization by choosing the number of lights and color. 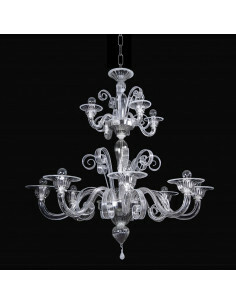 Chandelier to the simple and essential lines made in the tradition of Murano glassmakers. The time of preparation and realization of this object is 20/25 working days. Murano glass achieved according to the art Murano masters. The time of preparation and realization of this object is 20/25 working days. 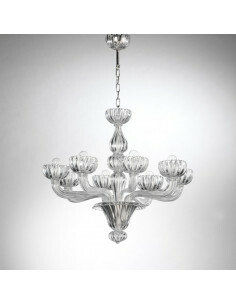 Contemporary chandelier with simple and essential lines made in the tradition of Murano Glassmasters. Other colors on request. 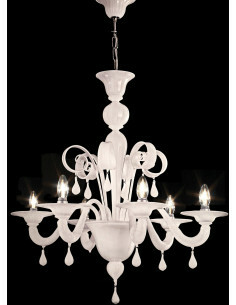 It is possible to match this appliqué and snow chandelier. 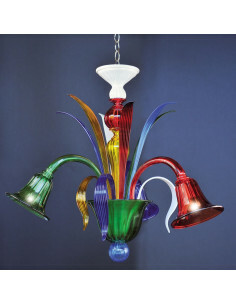 Murano glass chandelier, linear and modern, realized according to the art of Murano masters. 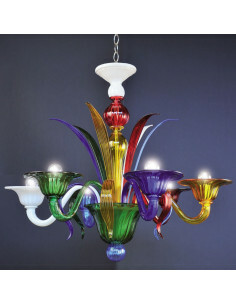 Murano glass chandelier realized with the ancient techniques of muranese glass masters.